The Avurudu festivities peak in the scorching heat this season. The scorching heat and high humidity can take a toll on your skin and make up routines. Melting foundation, runny eyeliner and sticky lipstick … These some of the painful make-up evils we suffer from in this heat. Since it is the season of visiting and giving, it is difficult to stay indoors and a void the blazing sun and muggy atmosphere altogether, take steps to minimize the damage as best as you can. Looking good even in this humid weather can be a cakewalk if you follow a few guidelines. Summer bearings include a lot of green vegetables, melons, corn, mangoes and other fresh and fragrant herbs. Local markets are at their best during summer, when fruits are abundant, and vegetables are as fresh as can be. With the heat already beating down many of us, it is time to make sure that your body is taken care of. You can’t fight nature but you can certainly make small changes in your lifestyle and start with a good diet. Apart from indulging in Avurudu delights, make sure that you consume a lot of food items that keeps your body cool from within as well. The way you care for your skin is just as important as the makeup you apply to it. Use an oil-free moisturizer in the morning. You should also opt for an oil-free foundation formula to match. You won’t regret the few seconds it takes to apply a primer, which goes on after moisturizer but before face makeup. Primers are definitely the way to go in summer. They don’t feel at all like a heavy, additional layer, and they really help hold makeup in place. Powder bronzers are the easiest to apply; look for one with varying shades. They will blend together for the most authentic-looking results. You can also sweep a little bronzer onto your neck and earlobes, especially if you have short hair or are wearing a pony­tail. If you want to keep your makeup from creasing and caking - less is more is the best way to go. If you can, just use a tinted moisturizer and a concealer where you need it. Makeup likes to move around when it’s hot, so the best way to avoid that is to wear less of it. To eliminate unsightly shine especially in the t-zone area, nothing beats blotting papers. They’re cheap and easy - you just press and go. Oily skin - Our skin’s natural oils can create shine and creases in makeup. This is especially true on our eyelids. Make sure you’re properly caring for oily skin even before makeup goes on always use a primer before putting your makeup on. 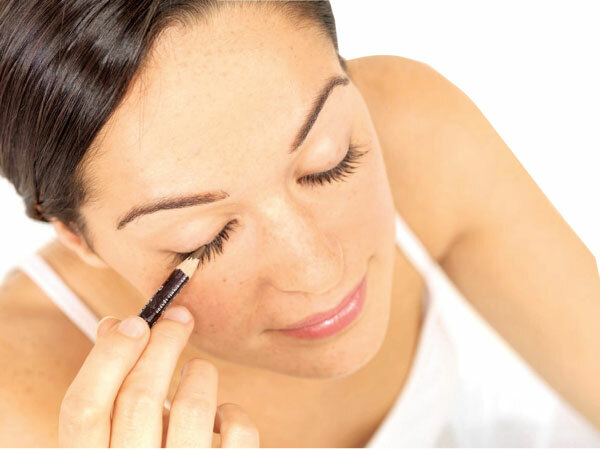 Using the wrong makeup – You could be using the wrong makeup for your skin type or your skin’s needs. There are formulas that offer mattifying, moisturizing, waterproof, or anti-aging benefits. Touching your face - Constantly touching your skin can smear or lift makeup off your face, not to mention cause potential breakouts. Therefore avoid touching your face other than blotting it. As a general rule – the best fabrics for tropical climates are lightweight and made from natural materials such as cotton or linen. Look for shorts or skirts in breathable fabrics and cuts that do not constrain your legs. You should avoid wearing pants, unless you have to wear them due to a professional dress code or a formal dress code. If you do have to wear pants, opt for pants made out of cotton or linen in a loose cut. Sandals are your best friend when it is humid. Sweaty, smelly feet is everyone’s worst nightmare and sandals will help you avoid those scenarios. Curd: You probably know by now that curd is one of the healthiest foods to have in summers. You can add fruits to it or have it plain as an accompaniment with your food. Bottle gourd: This food item with medicinal properties has close to 96 per cent water content. It’s said that consuming bottle gourd juice acts as a hydrating agent and also aids in treating diarrhea and constipation. Buttermilk: Drinking buttermilk in summers is a great way to provide your body with the required probiotics, minerals and vitamins that might be lost due to excessive sweating. It is best to have it fresh, right when it is churned with cooling food items like coriander leaves and cumin powder. Lemon: Citrus foods are not only good for detoxification and your immunity but they also have an incredible cooling effect on the body. If you don’t like it on your food then you can simply add a few slices to your regular water. Coconut water: When it comes to cooling your body, there’s nothing like coconut water. Full of electrolytes and essential minerals it replenishes all the nutrients your body loses after sweating. The best ever natural energy drink, it also has cancer fighting and anti-ageing properties. Bitter gourd: This food item might not be really popular with all but it comes loaded with vitamins A, K, C, B2, B3 and magnesium. It strengthens immunity, reduces blood sugar levels and aids in constipation. Watermelon: Full of antioxidants in summer watermelon can act like an internal air conditioner! Cucumber: Full of fibre, cucumbers are high on hydrating properties. You can easily maintain your body heat if you consume it regularly. Mint: Mint is the best herb to consume during summers. Mint leaves have a special and distinct flavour that can make your dishes more tasty and smell good. With its cool effect, you can feel fresh when drinking water with mint leaves or eating salad with chopped mint leaves added to it. You can pair your mint water with lemon to add flavour and hydration to your drinks.